Benjamin Radford is deputy editor of the science magazine Skeptical Inquirer. He also co-hosts, with Karen Stollznow, Skeptic magazine's audio podcast MonsterTalk, which critically examines the science behind cryptozoological (and legendary) creatures, such as Bigfoot, the Loch Ness Monster and werewolves. You may remember him from earlier posts such as, Top 10 Reasons Bigfoot is Bunk, Bigfoot Cousins Claimed in Many Countries, and most recently, If You Spot Bigfoot, Should You Shoot Him? He is a skeptic, and one of the more fair-minded ones. As most of you know the term skeptic, does not mean "non-believer," Some skeptics would even put themselves in the "Bigfoot Hopeful" category. Last Saturday Radford reminds us that, although the Oxford University Study is making news, trying to retrieve DNA evidence is nothing new. Read his reminder below with a vote of hopefulness in the end. Last week researchers from Oxford University and the Lausanne Museum of Zoology announced that they are seeking genetic materials (such as hair, skin, and blood samples) claimed to be of unknown animals such as Bigfoot. The goal of the Oxford-Lausanne Collateral Hominid Project is to catalogue and identify new species, including those long believed to be mythical. Despite the publicity that the new project is garnering, this is far from the first time that alleged Bigfoot samples have been subjected to scientific testing. In 2008, for example, the TV show "Destination Truth" recovered what was claimed to be a hair of a Yeti (formerly known as the Abominable Snowman). An analysis reportedly came back indicating that the sample contained "an unknown DNA sequence," though the full report was not made public and the results were never published in a journal -- as would be expected with a legitimate scientific discovery. Then there was the strange case of a finger long claimed to be from a Yeti, once held in a monastery in Nepal which was examined by researchers at the Edinburgh Zoo last year. DNA testing solved the decades-old mystery and debunked the Yeti finger; it was actually human, probably from a monk. For over a year Bigfoot buffs have followed the saga of Dr. Melba Ketchum, a veterinarian who claims to have definitive evidence of Bigfoot DNA. Ketchum says that her research will be published in a peer-reviewed scientific journal any time now, and has released virtually no information about her allegedly world-shaking findings, reminding those who question her that "until it is published, I cannot discuss our data at all." Last week in a May 18 Facebook post, Ketchum once again promised that definitive Bigfoot DNA results would be published soon, and "that all is well and things are happening as expected." The most compelling evidence for Bigfoot would be DNA analyses, since they are scientific and theoretically definitive. However answers are not always possible; "unknown" or "unidentified" results do not mean "Bigfoot." There are many reasons why a given hair or DNA sample might come back unknown, including that it was contaminated or too degraded by environmental conditions. Or it could simply mean that the animal it came from was not among the reference samples that the laboratory used for comparison. We have no reference sample of Bigfoot DNA to compare it to, so by definition there cannot be a "conclusive match." In his book Big Footprints (Johnson Books, 1992), veteran researcher Grover Krantz discussed alleged Bigfoot hair, feces, skin scrapings, and blood: "The usual fate of these items is that they either receive no scientific study, or else the documentation of that study is either lost or unobtainable. In most cases where competent analyses have been made, the material turned out to be bogus or else no determination could be made." Indeed, twenty years later, the situation remains the same. When a definite conclusion has been reached through scientific analysis, the samples have invariably turned out to have prosaic sources -- "Bigfoot hair" turns out to be elk, bear, or cow hair, for example, or "Bigfoot blood" is revealed to be a car's transmission fluid. Krantz gave one typical example: "A large amount of what looks like hair has been recovered from several places in the Blue Mountains since 1987. Samples of this were examined by many supposed experts ranging from the FBI to barbers. Most of these called it human, the Redkin Company found significant differences from human hair, but the Japan Hair Medical Science Lab declared it a synthetic fiber. A scientist at [Washington State] University first called it synthetic, then looked more closely and decided it was real hair of an unknown type... However final confirmation came when E.B. Winn, a pharmaceutical businessman from Switzerland had a sample tested in Europe. The fiber was positively identified as artificial and its exact composition was determined: it is a product known commercially as Dynel, which is often used as imitation hair." The lesson? Even many of the world's top experts got it wrong; it was not human nor "unknown" but instead a synthetic fiber. Hair testing is far less of an exact science than genetics testing, and the fact that some alleged Bigfoot hairs remain “unidentified” is hardly surprising—and certainly not mysterious. For decades Bigfoot research has been plagued by false promises of definitive, earthshaking proof of Bigfoot -- most of it creates plenty of publicity and hype but no real results. Hopefully efforts by researchers like the Oxford-Lausanne Collateral Hominid Project and Melba Ketchum will be successful. However they are only the latest in a long line of claimants -- all of whom have all failed so far. Can they back up their claims with solid scientific evidence, or will they join the ignominious legions of hoaxers and sincere-but-deluded researchers? Labels: Benjamin Radford, Bigfoot dna, DNA, Oxford University. Skeptic Benjamin Radford: If You Spot Bigfoot, Should You Shoot Him? In a previous post titled, "Skeptic gives Top 10 why Bigfoot does not exist," we share Benjamin Bradford's top ten arguments against the existence of Bigfoot. 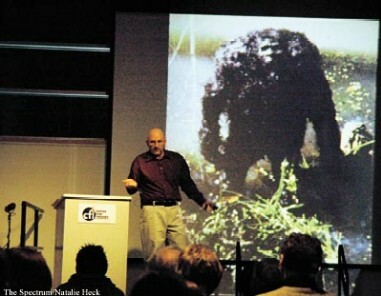 As a contributor to LifeLittleMysteries.com, Mr. Bradford argues against shooting Bigfoot. Probably good advice, but on average, people ignore it once out of every four years. Read our article titled "Humans shoot and kill Bigfoot on average of once every four years" to see the list of Bigfoot shootings. If You Spot Bigfoot, Should You Shoot Him? In the new Animal Planet reality TV show optimistically titled "Finding Bigfoot," a team of experts examines video of an alleged Sasquatch spotted in the Canadian Rockies. The video, shot by a man named Todd Standing, shows something large and dark, standing atop a wooded ridge and then ducking back behind a bush. It could pretty much be anything, and when the experts concluded that the subject was probably not a Bigfoot, Standing expressed his frustration: "No video is ever going to be evidence, ever. It's never going to be good enough…"
Standing, like many Bigfoot researchers, misses the problem: It's not so much that any Bigfoot video is inherently worthless, it's that his video, like all that have come before it, is of such poor quality that there's no way to know what we're seeing. It could have been anything – a guy in a dark jacket (or gorilla costume), a bear or even Bigfoot. The fatal flaw in Bigfoot photos and videos is the image quality, not the image subject. If Standing, the "Finding Bigfoot" team, or anyone else shot well-lit, clear video of what was obviously a 12-foot-tall, hairy bipedal creature in the woods, that would be compelling. But definitive proof is a very high standard. Most Bigfoot enthusiasts — and the general public — would be satisfied with nothing less than the rock-solid definitive proof offered by a living or dead specimen. This issue brings up a longstanding debate within the Bigfoot community: Would be ethical to shoot and kill a Bigfoot? Some say yes, because that's the only way to prove they exist, and once proof is found, funds could be made available to protect them as an endangered species. Others say no -- that because Bigfoot sightings are so rare, they must have very small populations and killing one might drive the animals to extinction. Shooting a suspected Bigfoot with tranquilizer darts is an option that has gained some steam. Ethics and the lethal-or-nonlethal debate aside, there's a good reason aiming your gun at a Bigfoot could be a bad idea: It might be illegal. A Texas teen shot what he believed to be a Chupacabra earlier this year, and while charges were not brought against him, if the creature turned out to be someone's dog or a mangy coyote, he could potentially have faced a felony charge. The point is, you simply can't know for sure if the mysterious, burly figure you have lined up in your sights is the real beast, or a bear or someone's pet – or, even worse, just a person in a gorilla suit. 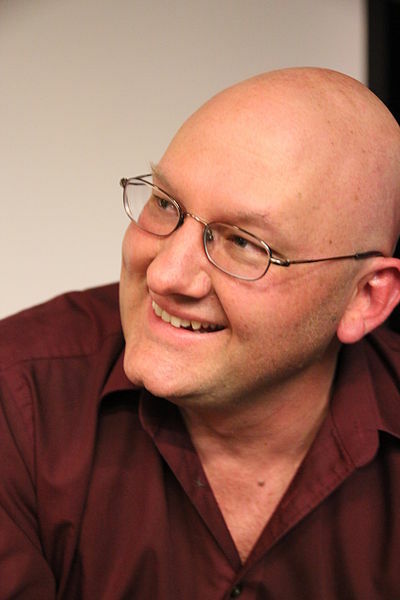 Benjamin Radford is deputy editor of Skeptical Inquirer science magazine and author of Scientific Paranormal Investigation: How to Solve Unexplained Mysteries. His website is www.BenjaminRadford.com. Considering Benjamin Radford is a skeptic, he even has a top ten list "Why Bigfoot is Bunk" we find it awfully nice of him to provide us with a brief description of the primary Bigfoot variants around the world. If you really want to get an idea of these variants in a visual geographic context follow the link to the AKA Bigfoot World Map. A group of Chinese researchers has announced that they are mounting an expedition to seek evidence of the yeren, the Chinese version of Bigfoot. There have been other searches for the yeren in decades past, all failing to find conclusive evidence of its existence. The team, led by a man named Luo Baosheng, is hoping to raise $1.5 million to launch the search. While Bigfoot is by far the best-known of mysterious bipedal creatures said to inhabit the world's wilds, it is far from the only one. Many countries and cultures have stories of hairy, feral man-like creatures. The Canadian Sasquatch is essentially the same creature as the American Bigfoot, though it is claimed to be primarily nocturnal and a fast runner. Some say it steals food and abducts women — and men: A logger named Albert Ostman claimed that in 1924 while camping in British Columbia he was kidnapped by a Bigfoot family and held for nearly a week. Ostman suspected that he had been captured as a potential breeding mate for the young female Sasquatch of the family, but before he could do the dirty deed he escaped when the male elder choked on Ostman's snuff tobacco. Needless to say, Ostman offered no evidence of his experience. The Yeti, formerly known as the Abominable Snowman, is said to live in the forest below the Himalaya Mountains' snow line, though its tracks are occasionally found in snow. It is said to be muscular, covered with dark grayish or reddish-brown hair, and weigh between 200 and 400 pounds (90 to 180 kilograms). The Yeti is relatively short compared with Bigfoot, averaging about 6 feet (1.8 meters) in height. Sir Edmund Hillary, the first man to scale Everest, found no evidence of the creature. Mountaineer Reinhold Messner, who spent months in Nepal and Tibet researching the Yeti found that large native bears were mistaken for Yeti sightings and tracks. The Yeti made news in 2007 when Josh Gates, host of the TV series "Destination Truth," claimed that he found large, mysterious footprints that might be from the Yeti. Despite extensive media publicity nothing more was learned about the tracks; they are now on display at Disney World. Yowie, the wildman from Down Under, reportedly stands anywhere from 5 to 11 feet (1.5 to 3.4 meters) tall, and has yellow or red eyes deeply set inside a dome-shaped head. Yowies are said to have tan, black, gray, or white hair covering black skin, with arms so long they nearly reach the ground. According to George Eberhart's encyclopedia "Mysterious Creatures" (ABC-CLIO, 2002), the name Yowie comes from the Aboriginal word "yuwi," which means "dream spirit." According to "The Field Guide to Bigfoot, Yeti, and Other Mystery Primates Worldwide" (Avon Books, 1999), "The natives of Sumatra have long believed in the orang-pendek, which means 'little man.' The orang-pendek seems to have a large pot belly and may be dark gray, dark black, yellow, or tan in color." It is also said to have very long head hair, and stand anywhere from 2.5 to 5 feet (0.8 to 1.5 m) tall. One of the first alleged sightings of the orang pendek occurred in 1923, when a Dutch settler in Sumatra saw one in a tree; though he was armed he refused to shoot it, because it resembled a human. Though most of these creatures share similar features, there is more variation within the types than between them. The other thing they all have in common is a lack of hard evidence for their existence. Perhaps the new Chinese expedition for the yeren will yield real results, but if history is any guide the search will likely be both difficult and fruitless. 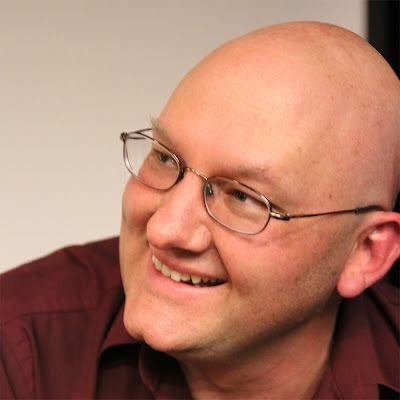 Benjamin Radford is managing editor of Skeptical Inquirer science magazine and author of two books about mysterious creatures: lake monsters and el chupacabra (out in March). His Web site is appropriately named Benjamin Radford. 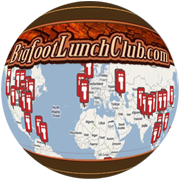 You may also like to view all these variants on the Bigfoot Lunch Club'c AKA Bigfoot World Map. Discovery.com has a slideshow provided by Benjamin Radford, managing editor of Skeptical Inquirer magazine. The slideshow is the top 10 reasons Bigfoot is bogus. Below I have paraphrased the top ten reasons below. You can see the the slideshow here and read in detail each of top ten reasons Benjamin Radford believes Bigfoot is bogus. 1.) The Empty Fossil Record. 2.) Forget Fossils, Where Are the Bodies? 3.) The breeding population would be tens of thousands. 4.) Most “evidence” are circumstantial eyewitness reports. 5.) Most photos are ambiguous, and even more recognizable ones can be faked. 6.) There no rigorous, documented, peer-reviewed evidence for Bigfoot. 7.) Bird researchers, rigorous observers and exhaustive note takers, have never spotted Bigfoot. 8.) Since the Panda 100 years ago, most new species discovered are microorganisms and insects. 9.) Virtually all the evidence either comes down to being inconclusive or a hoax. 10.) Without a body there is no standard to compare evidence to. While the Bigfoot Lunch Club would not go as far as saying Bigfoot is bogus, we agree these are all valid challenges we Bigfooters face. It is important that we recognize and embrace these challenges. As steel sharpens steel, we appreciate opposition. Thank you Mr. Radford for keeping us on our toes, while we try to keep on the heels of Bigfoot. Skeptic gives Top 10 why Bigfoot does not exist.